Trump Administration Seeks Prompt Immigration Ruling - Integration Through Media ....! By SUDHIN THANAWALA, SAN FRANCISCO (AP) — The Trump administration said it will ask the U.S. Supreme Court to intervene if a federal appeals court does not rule soon on the administration’s decision to end legal protections for hundreds of thousands of young immigrants. The U.S. Department of Justice wants the 9th U.S. 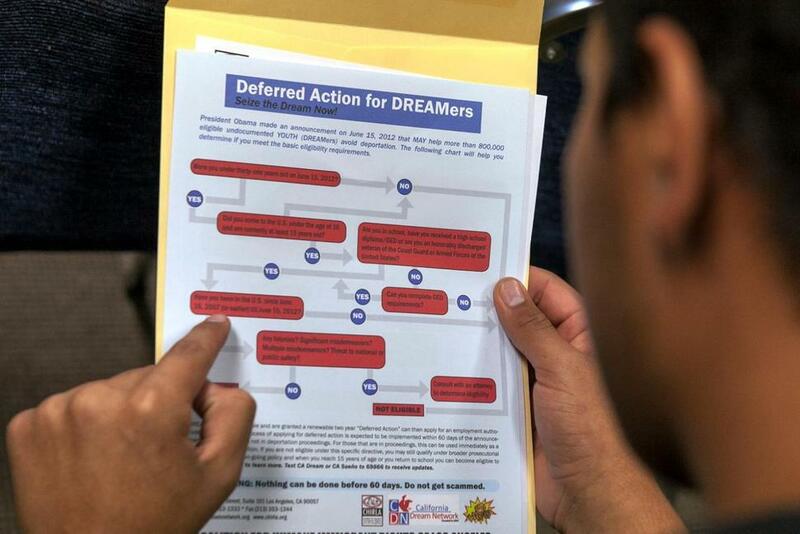 Circuit Court of Appeals to rule on President Barack Obama’s Deferred Action for Childhood Arrivals program, also known as DACA, by Oct. 31, or it will ask the Supreme Court to take up the case, the Justice Department said Wednesday in a letter to the 9th Circuit. A spokesman for the 9th Circuit, David Madden, said the letter would be sent to the three judges considering the case and it’s up to them to decide when to issue a ruling. The case is likely to end up at the Supreme Court, but the Justice Department said in its letter it wants the high court to hear the case this term. DACA has protected some 700,000 people brought to the U.S. illegally as children or who came with families that overstayed visas. The Trump administration ended DACA in September 2017 and wants the 9th Circuit to overturn a district court judge’s ruling in January that required the U.S. Department of Homeland Security to continue the program for existing enrollees. That ruling came in several lawsuits, including one filed by the state of California. “The district court’s injunction has now been in place for more than nine months and, unless either this court or the Supreme Court promptly intervenes, it could remain in force for at least another year, given the Supreme Court’s argument calendar,” DOJ attorney Mark Stern said in the letter to the clerk of the 9th Circuit, Molly Dwyer. The three-judge panel of the 9th Circuit heard arguments on the case in May. The administration has been critical of the 9th Circuit and previously tried to sidestep the appeals court and have DACA lawsuits heard directly by the Supreme Court. The high court declined in February to do so.